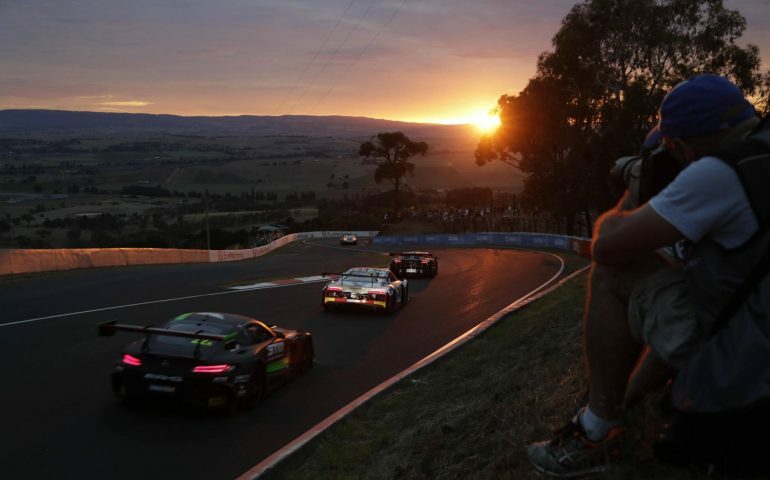 The Liqui-Moly Bathurst 12 has confirmed its growing profile within the Australian motorsport landscape with strong increases in attendance, television audience and digital numbers. An average national audience of more than 400,000 watched the race on Seven with the Sunday telecast reaching an audience of 1.2 million across the country. The Pirelli Top-10 shootout was watched by 315,000 people with an average of 220,000 viewers. The event was the most watched sport on Australian television across the weekend. The strong television viewership was supported by a nine per cent uplift in event attendance (40,364) and 30 per cent growth in digital consumption. There were more than 800,000 streams of the top ten shootout and the race, representing increases of 300% on 2016 figures, through the official event website and streaming partners. Website traffic to the official event site, www.bathurst12hour.com.au, was up 30% year on year while reach on Facebook ballooned to more than 3.6 million. The event also recorded a 600% increase on video views on the event Facebook, Twitter and YouTube channels throughout the weekend. A one-hour race highlights package will be shown on Channel 7 this weekend.